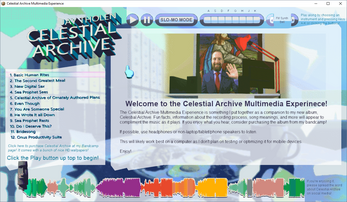 * Celestial Archive in MP3 and FLAC formats! 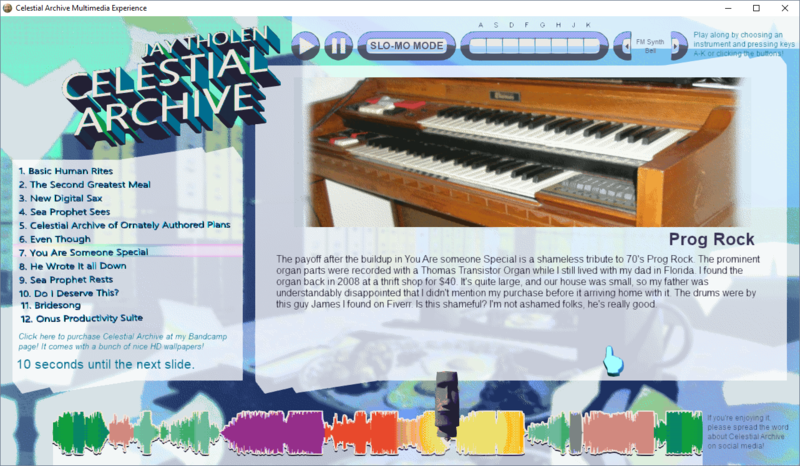 * Windows desktop version of the CAME to play on your home computer! If you just want the album for some reason, you can find it on Bandcamp or Spotify! 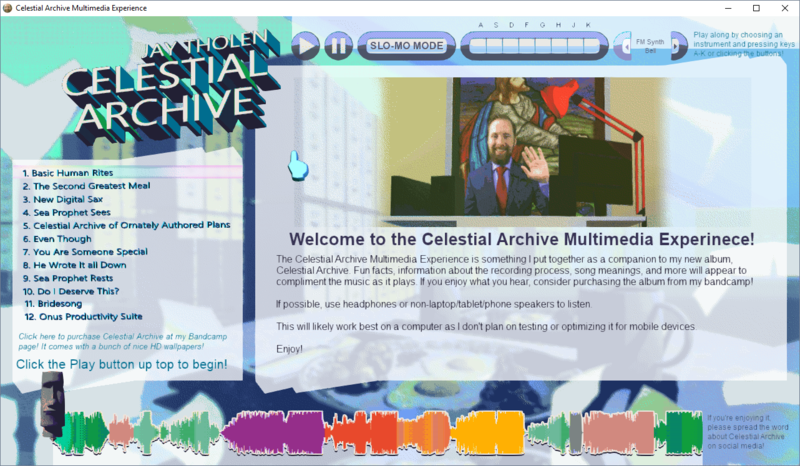 The Celestial Archive Multimedia Experience is now on itch.io!